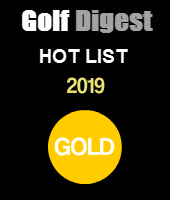 Each year the golf industry meets in Orlando Florida the last week in January for what has turned out to be the unofficial "kickoff" of the new golfing season. This is an industry show so only people in the industry and media are invited to attend. This year's show took place January 23 through January 26th at the Orange County Convention Center. The sheer size of this show is so big that you'll walk about the same distance of an 18 hole course walking through all the exhibits in the convention center. As with each year there are products that were "hot" and some that were not from this year's collection of exhibitors. Whether these turn into commercial success is yet to be determined but based on the show "Buzz" factor here are some of the products that stood out. The theme of the show for drivers was more adjustability. 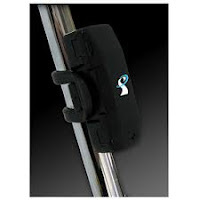 For several years now equipment manufacturers have been producing drivers that had adjustable weights, lie and face angles. But this year, the ability to adjust your driver's loft was introduced. Now you don't have to worry about buying the wrong loft for your driver as it can be adjusted easily with a turn of a wrench. 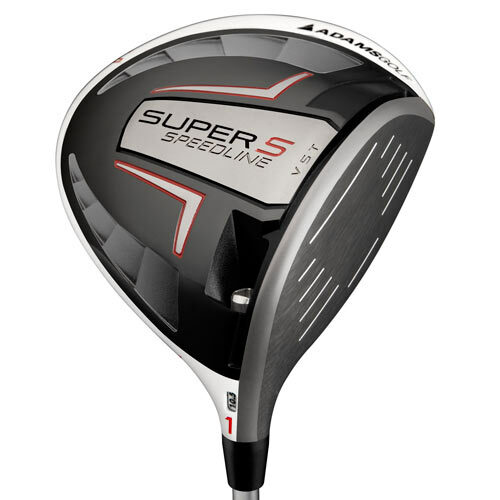 TaylorMade R1 Driver: Probably the most buzz surrounds this driver simply because it is a TaylorMade and they are a marketing machine. Also, TaylorMade had the largest exhibit this year with what looked like 10% of the entire convention center. 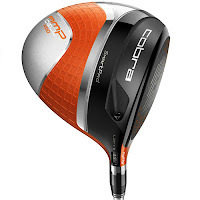 Cobra AMP Cell Driver: In addition to loft adjustability, this driver is available in 4 different colors and definitely has that "cool" factor. 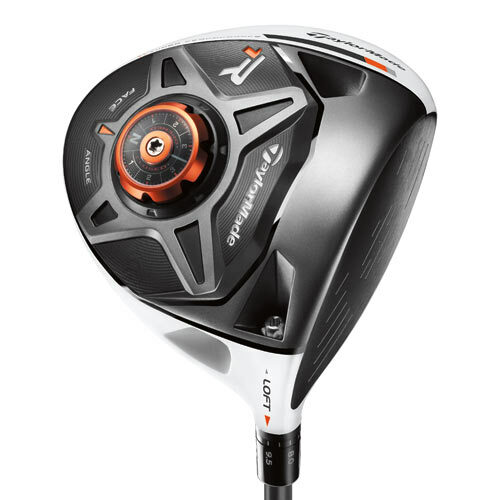 It was also seemed to be the most forgiving of the new loft adjustable drivers. Nike VR_S Covert Driver: Nike didn't have the biggest exhibit but their new driver was creating a lot of buzz at the show. Maybe it was because it's the driver Rory McIlroy is using now or because it's the first driver to use "cavity back" technology which was primarily used in irons. Adams Super S Driver: Probably the least amount of buzz among the new loft adjustable drivers but it should not be overlooked. This driver takes the velocity slot technology which made last year's fairway woods so hot, and places it in a driver for the first time. But hits with this driver just seemed to go and go. 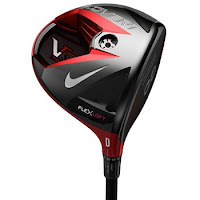 The Callaway X Hot Fairway woods seemed to create a lot of buzz last week. Lots of people that tested said the X Hot driver and 3 wood would be their gamers this year. Taylormade RocketBallz Stage 2 fairways is promising an additional 10 yards this year from last years RocketBallz fairway woods. 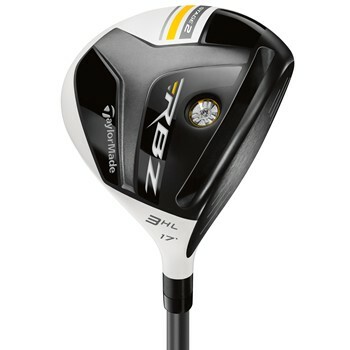 The only thing I didn't care for was the graphics on the crown of new RBZ fairway wood but if you can overlook that I'm sure you'll happy with the performance of this new TaylorMade offering. Cobra AMP CELL fairways, like the driver, offers loft adjustability and a choice of 4 different colors. With this you only need to buy 2 fairway woods and you cover all lofts from 13 degrees all the way up to 20 degrees of loft. The new 2013 Callaway X Forged were great. The soft lines of the sole and heel are what I'm looking for. Roger Cleveland, (Callaway's club designer) sure knows his stuff. The TaylorMade Rocketbladez Tour Irons looked great, but would need to test them some more to see if their distance claims were true. I liked the look of Callaway X Hot Pro, which was unexpected, and they offered an great balance of forgiveness and shot-making ability as preferred by better golfers. If I were to guess I would say these irons will be a winner the season for Callaway. I didn't get to hit the Cobra Amp Cell Pro Irons, but they will do very well with the better player. Just gorgeous. Although it's a progressive set there really isn't much forgiveness in the design. This is the year of the electronic swing analyzer that uses a smart phone app to display results. The SwingSmart, SwingTip, GSA and SwingByte all use a wireless sensor that attaches to your club and sends data on your golf swing to a smart phone app. This data that normally was only available using a very expensive radar swing and ball flight analyzer can now be obtained at a fraction of the cost with these new mobile swing analyzers. The Golf Swing Shirt was the most interesting aid I saw this year. Basically its a shirt you you simply slip it on over your shirt and insert your arms in the center trunk sleeve. The shirt is designed to fit more snug than a customary shirt, which helps promote the feeling of body “connection” as you are swinging the club. 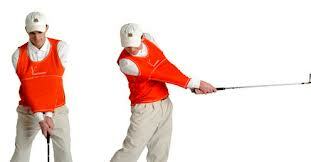 Like many training aids, the swing shirt looks a bit awkward to wear, but it’s actually very comfortable. After trying it, you can definitely feel the “connection” it creates in the swing. 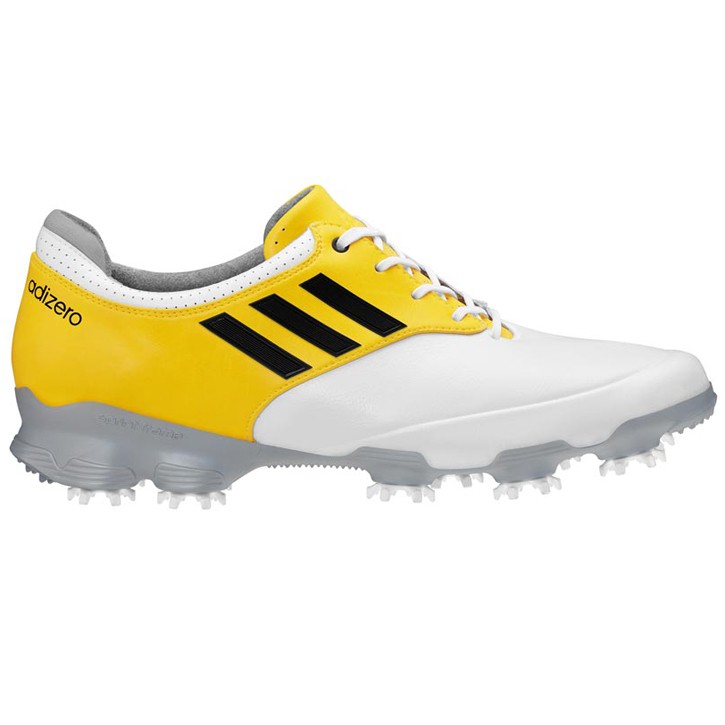 This is definitely the year of the "minimalist" golf shoes. Like the minimalist running shoe trend that has taken over the running shoe industry, these shoes are made to be lighter and offer a more natural stride. 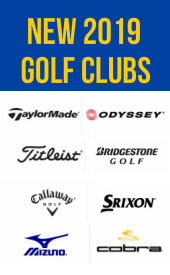 But unlike running shoes, the shoes are made specifically for golf with protection and support where needed for the golf swing and waterproof guarantees for comfort in rainy weather. The two that stood above the rest in terms of "Buzz" were the new Adidas adizero and the Footjoy M: Project. Both companies claim their shoes deliver more comfort and flexibility and can help develop better balance which is key to the golf swing.